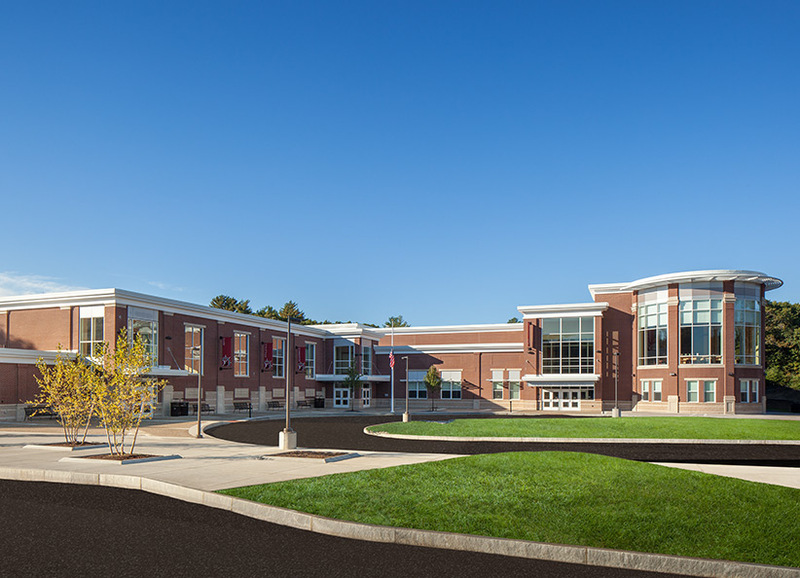 The new 1,020-pupil Hingham Middle School is located on the site of the existing Hingham Middle School. The outdated existing middle school (circa 1960) was demolished subsequent to the completion of the new middle school. One of the challenges of the project was developing a site plan that allowed the new school to be constructed while the existing middle school continued to function without disturbance or disruption. The newly proposed 175,000 sq. ft. facility utilized an interior courtyard to provide for a compact building layout while simultaneously bringing natural light into all classrooms. The project includes a full theatrical auditorium, distance learning theater, fitness center, and gymnasium. The three-story academic wing is strategically organized to place 6th, 7th, and 8th grade on separate floors with equal access to core facilities. The middle school provides a superior learning environment through thoughtful implementation of natural day-lighting strategies, enhanced classroom acoustic techniques, and indoor air quality measures. Additionally, design features such as real-time data collected from the building’s sustainable design systems optimize the facility as a teaching tool, integrating it into the educational curriculum. Ai3 collaborated on an extensive community communications effort as part of the feasibility and schematic phases. Efforts included social media, video animation, televised forums, and public presentations.